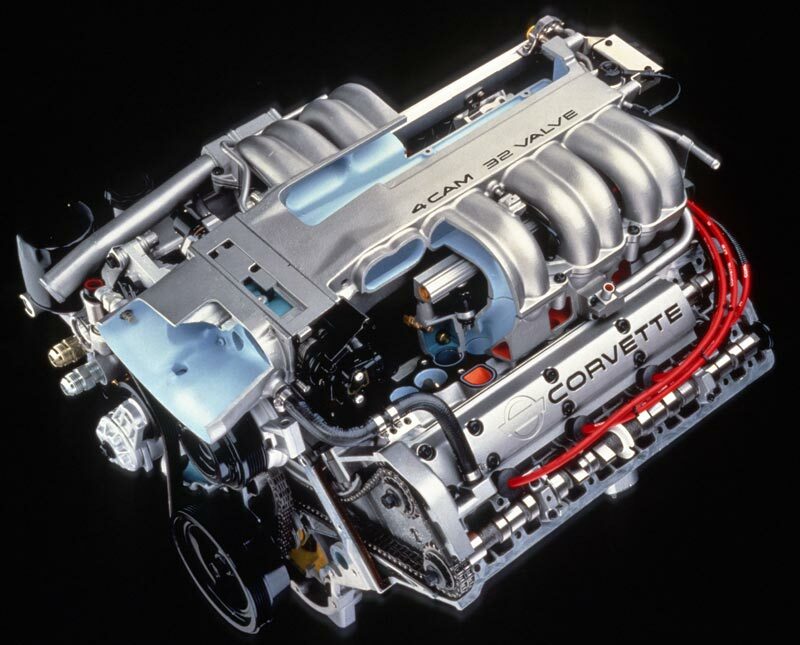 Although there was a lot differentiating a Corvette with the ZR-1 option from its contemporaries, there is no doubt that the main event was under the hood. 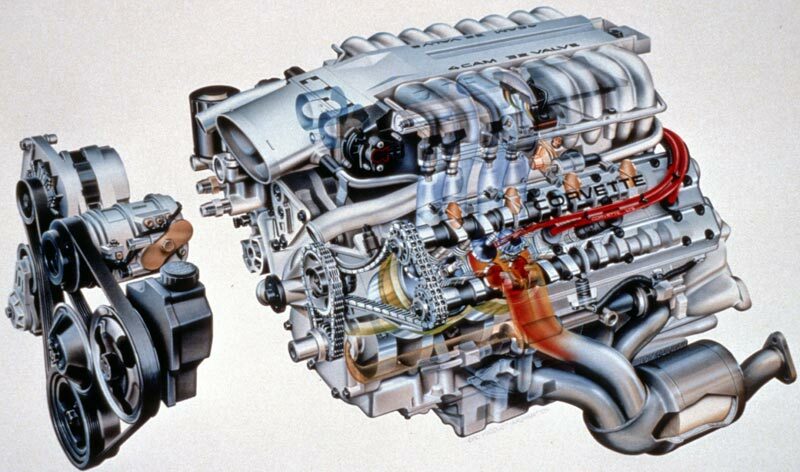 After the turbo engines were out of the running, multiple overhead cams with four valves per cylinder was the configuration given the nod. Group Lotus in Hethel, England was awarded the task of engineering the effort. 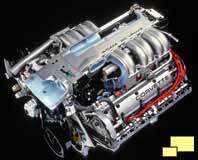 Lotus had an excellent track record engineering exotic engines and the fact that they had recently been purchased by GM probably didn't hurt them either. 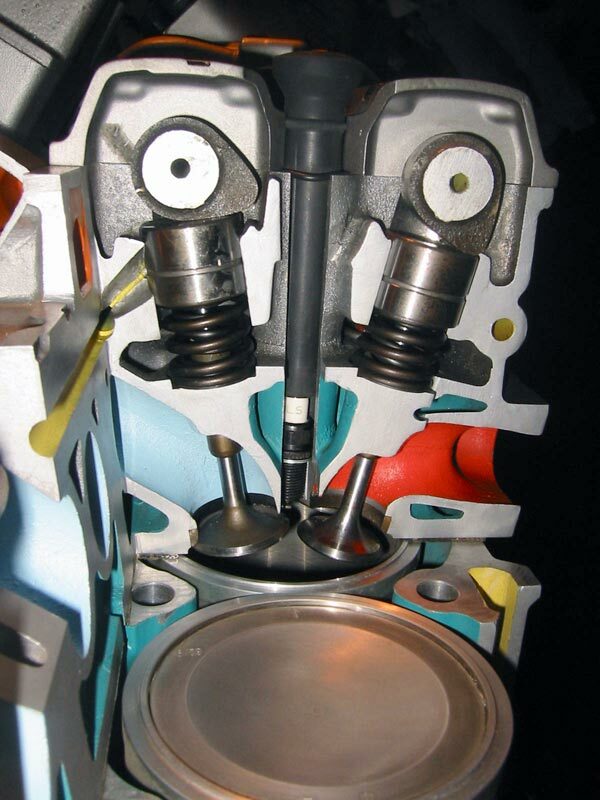 Originally the plan was to adapt the standard small block to accommodate overhead camshaft four valve heads. But a snag developed early in the R&D process when it was discovered that engine would not fit between the uniframe rails, a necessity for production at the Bowling Green plant. 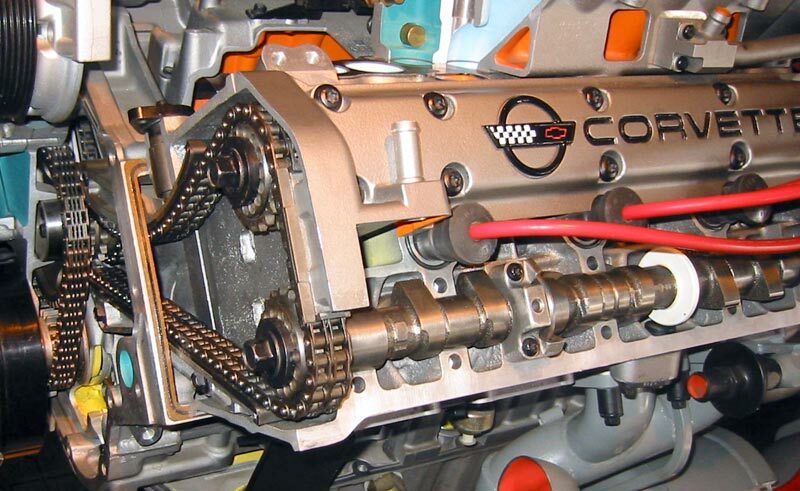 The solution: give the ZR-1 its own block. That block would accommodate the production requirements, but there was an economic downside. 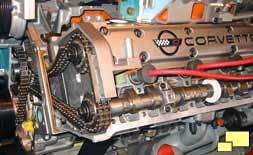 The new block would mean the ZR-1 would cost a lot more to develop and build and this would have consequences for the future of the ZR-1. In addition to hiring Group Lotus to develop the engine, GM made one other smart move and that was have Mercury Marine in Stillwater OK manufacture the powerplant. With a production schedule of only about 18 motors a day, the small marine motor manufacturer with an excellent quality record was the ideal candidate. 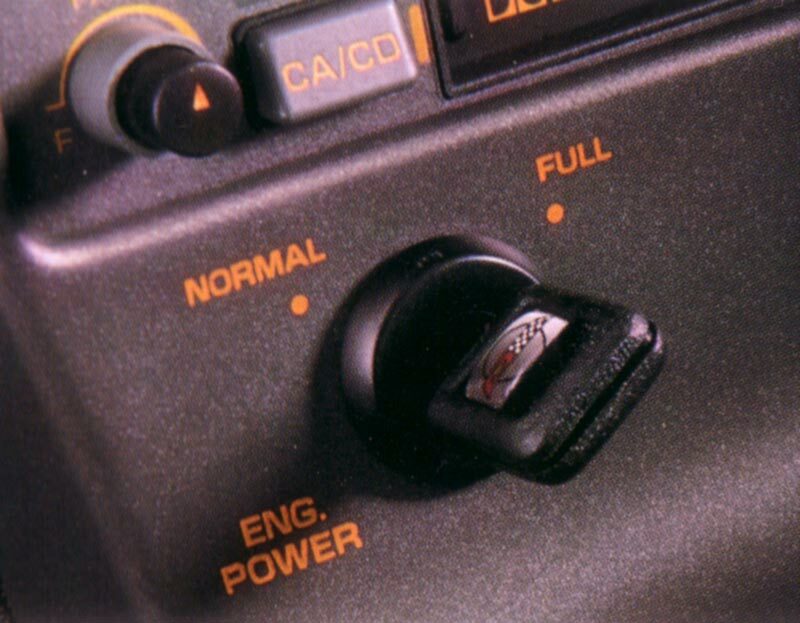 Right: A novel feature of the ZR-1 was the power key which quickly earned the nickname "valet key". 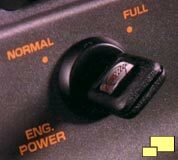 There were two modes: "normal" and "power". 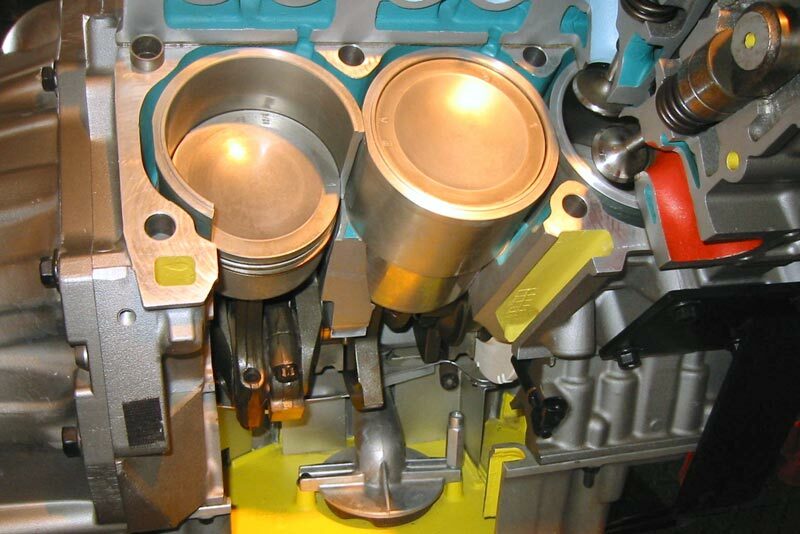 Power mode featured all 375 hp while the normal status, which worked by disabling the secondary intake ports, limited the output to about 200 hp. 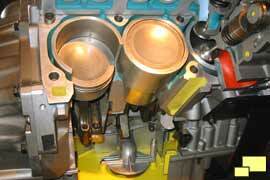 The system was set up to reset to normal each time the main ignition was turned off. It's Still Hard to Believe! 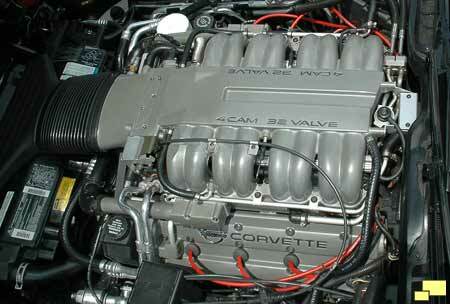 These sights were - and still are - mind blowing to Corvette enthusiasts. 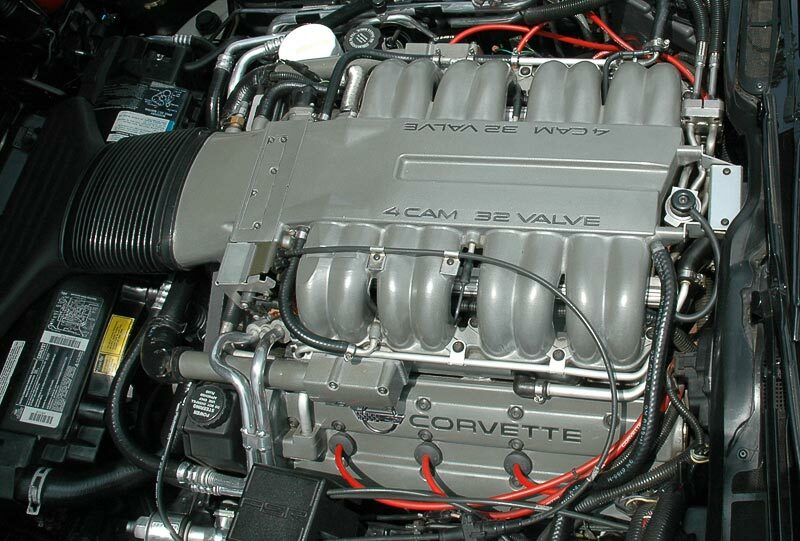 Four overhead camshafts pushing on four valves per cylinder is a concept that even today has Corvette fans shaking their heads in amazement.